This installation was inspired by the scientific concept of black box. “Black box” is any mechanism of which we only know the input and output, meaning we are unaware of the details of its internal functions. In today’s world we are surrounded by these kinds of objects and mechanisms. 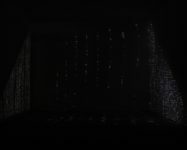 In a gallery context, “black box” refers to any space that provides a dark background against the traditional lighted space of galleries called “white cubes“. 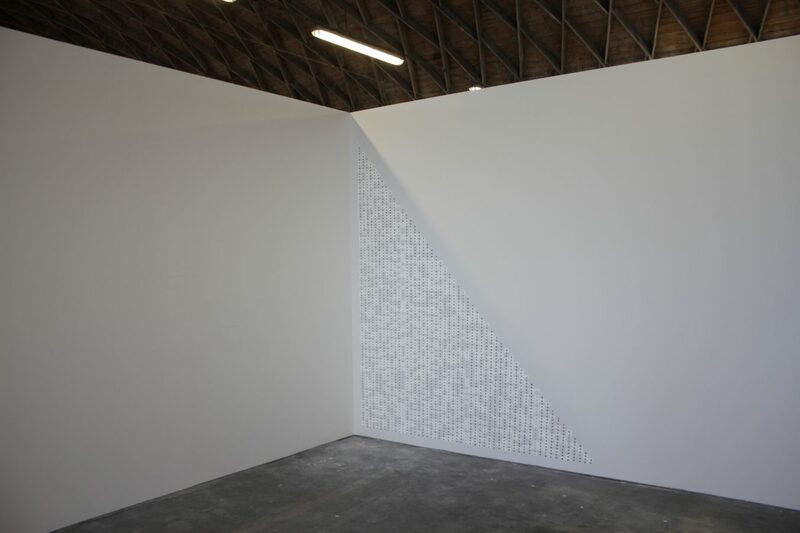 This piece was a site-specific installation created for a triangular shadow cast on one of the sides of a “white cube” gallery environment. A shadow is an immaterial space created by the lack of light. By perforating the shadow with small wholes and directing a projector towards it, the shadow was transformed into a transmitter of light when viewed from the other side of the wall. 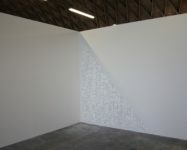 When visitors entered the white cube of the gallery and began exploring the space, they discovered the option of entering a cavity behind the wall of the shadow triangle. Within this space, they suddenly found themselves in black box where the role of the triangle on the wall changed function from being a shadow in the white cube context to becoming an emitter of light in the black box. The perforated shadow as projector could only be experienced from within the walls of the gallery. 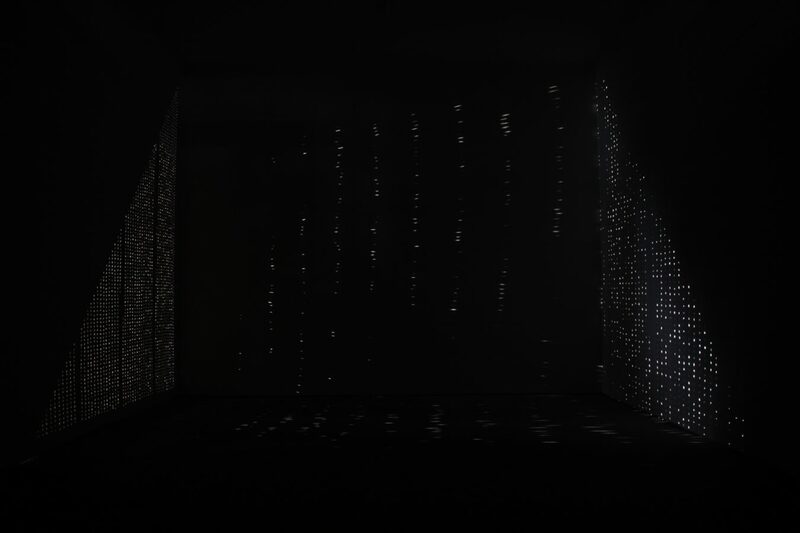 The internal space became a meditative environment where visitors could experience an unexpected mystery of how an immaterial phenomena such as “shadow”, could come to life as a transmitter of light instead of a dark matter.